Best Passport for Visa-Free Travel? 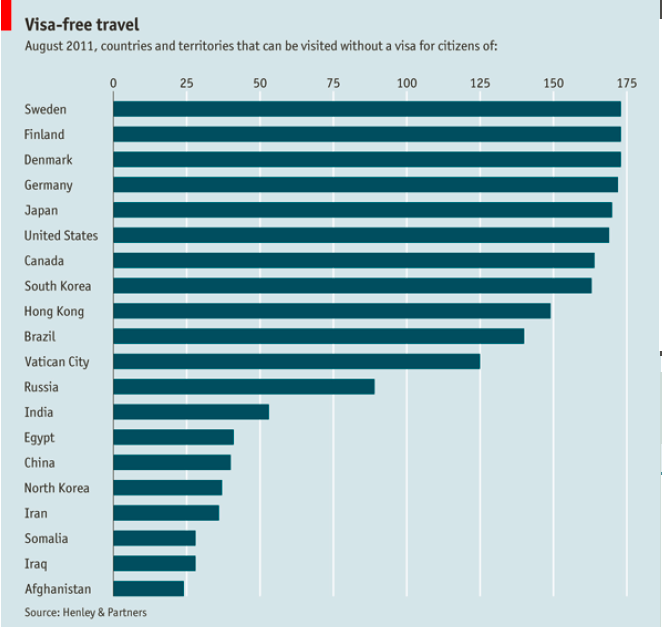 The Economist has posted this graphic showing that the best passports for visa-free travel are Sweden/Finland/Denmark (entry to about 170 countries), followed closely by Germany, Japan, USA, and Canada. A Chinese passport allows visa-free travel to about 40.